Other Information: The most important cottonseed product in human food is cottonseed oil, which is widely consumed. Cottonseed flour is comsumed as food (especially in Central America) but must be from a cultivar producing low levels of the toxic metabolite gossypol. Partially defatted cooked cottonseed flour is used for colouring foods. Dysphagia, itching palms, wheezing, vomiting, loss of consciousness (O'Neil and Lehrer 1989 ). Food/Type of allergen:Commercial extract and extract of foods causing a reaction with phosphate buffered saline (1:10 w/v). Extracts were filtered through 0.45µm pore filter and stored with 50% (v/v) glycerin (Atkins et al. 1988 ). Histamine (1mg/ml) and saline were positive and negative controls. Wheal diameters >3mm larger than negative control were taken as positive. 7 patients with a history of reactions to products containing cottonseed protein tested were positive to cottonseed extracts and to extracts from foods containing cotton seed (Atkins et al. 1988 ). One patient who suffered a reaction after eating a candy bar on an airliner was subsequently tested against cottonseed extract and phosphate buffered saline extract of candy bar - positive to cottonseed extract (O'Neil and Lehrer 1989 ). Summary of Results:Atkins et al. 1988  gives only total IgE levels (6-880 IU/ml) and no data on specific IgE or immunoblotting. Food used and oral provocation vehicle:Defatted cotton seed flour was blended into chilled vanilla flavoured Vivonex (Norwich-Eaton Pharmaceutical). Dose response:Increasing doses of 100, 350, 500mg of cottonseed flour were given. One patient experienced symptoms after the third dose (500mg); the other after the first (Atkins et al. 1988 ). Symptoms:Chest tightness, large falls in FEV1 (forced expiratory volume in 1 second), FVC (forced expiratory vital capacity), in both patients; pharyngeal pruritis, lip swelling, nausea in one patient only (Atkins et al. 1988 ). There is also a much earlier literature (1920s - 1950s) which confirm that cottonseed is a potent allergen, particularly as a consequence of occupational exposure. Spies et al. (1951)  purified an allergen called CS-1A using a scratch test as an assay. This was shown by Youle and Huang (1979)  to be identical with the 2S albumin. Spies JR, Coulson EJ, Chambers DC, Bernton HS, Stevens H, Shimp JH. 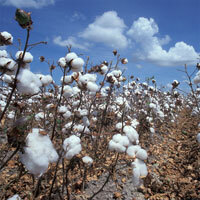 Cottonseed hypersensitivity: new concerns over an old problem. Angioedema and urticaria caused by cottonseed protein in whole-grain bread. Process, chemical, enzymatic:Allergenicity survives heating to 100 degrees C for 1 hour in the extraction method of Spies' group. Allergen properties & biological function:2S albumin seed storage protein. Allergen purification:3g of dehulled cottonseed is homogenised in 100ml of PBS for 20min. Crude extract centrifuged at 10000g for 30 min and aqueous supernatant collected. The 2S albumins were purified by sucrose density centrifugation.